Google's new Pixel phones are shaking things up in the world of Android, as the Nexus line is no more, and the Mountain View tech giant has now become a smartphone OEM. The long-term impact of these moves remains to be seen, but we already know that Google, the manufacturer, will be adding extra software and UI features to the version of Android that ships with its Pixels. If you want some hard evidence of this, LlabTooFeR recently leaked a full system dump from the Pixel and Pixel XL, which contains all of the pre-installed apps that will come bundled with the new phones. Then, the folks at APKMirror extracted the new dialer app from these images, and discovered that it can be installed on other devices. This Pixel-exclusive phone app is a revamped version of Google's existing dialer, and it's an entire version number ahead of the one you can find on the Google Play Store. It includes a number of cool new features, including an incoming call screen that matches the new Google Duo video chat app, and it can be installed on compatible devices if you're interested in getting a taste of the Pixel experience. The Pixel's new dialer app is an unreleased version of the existing Google Phone app, which means that it will install as an update if you already have Google Phone. However, Google Phone is not compatible with all devices, so it may or may not install on your phone. Nexus phones shouldn't have any problems here, but other devices are hit or miss. 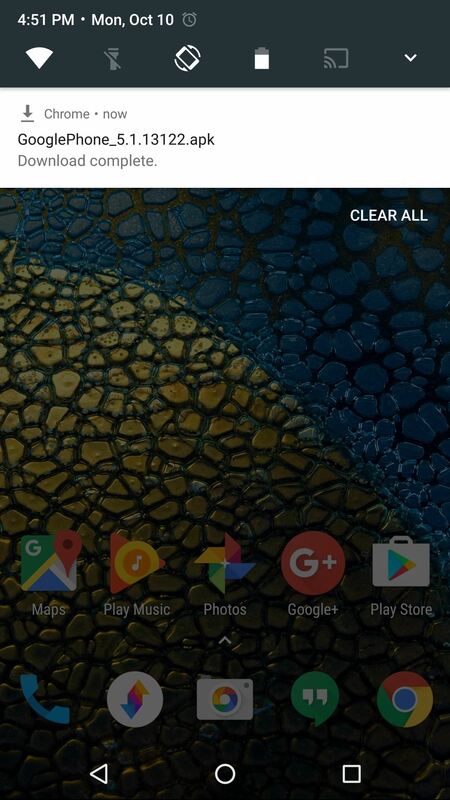 Either way, the first thing you'll need to do is download the new Google Phone APK. 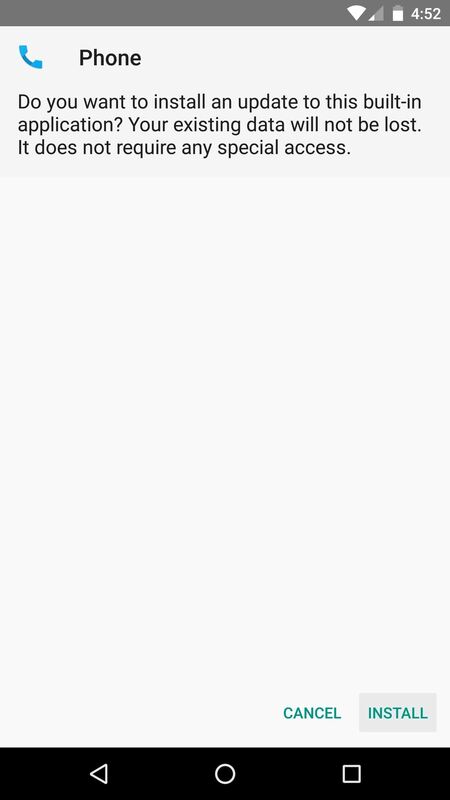 Once you've done that, tap the Download complete notification, then hit "Install" when prompted. If you don't see any error messages, you'll be good to go. 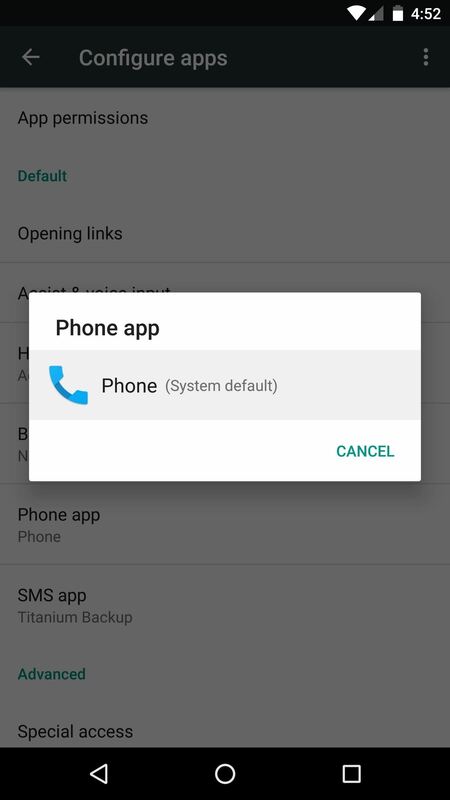 You'll need to set Google Phone as your default dialer if you haven't already done so. To start, head to the Apps menu in Settings, then tap the gear icon near the top-right corner. 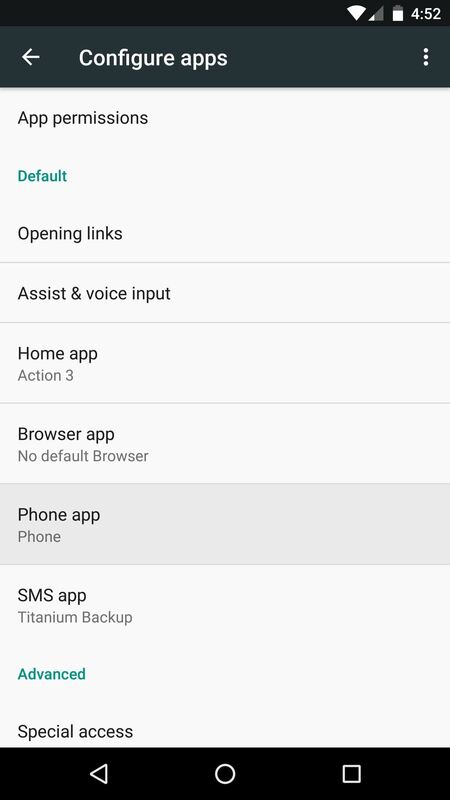 From here, select "Phone app" from the list, then choose "Phone" when prompted. If you have more than one "Phone" option here, make sure to pick the one with the blue Material Design icon as pictured below. You're now ready to try out the Pixel's brand new phone app. The main menus are similar to older Google Phone versions, so if you just installed this as an update, you should feel right at home. But things get interesting when you make or receive a call. 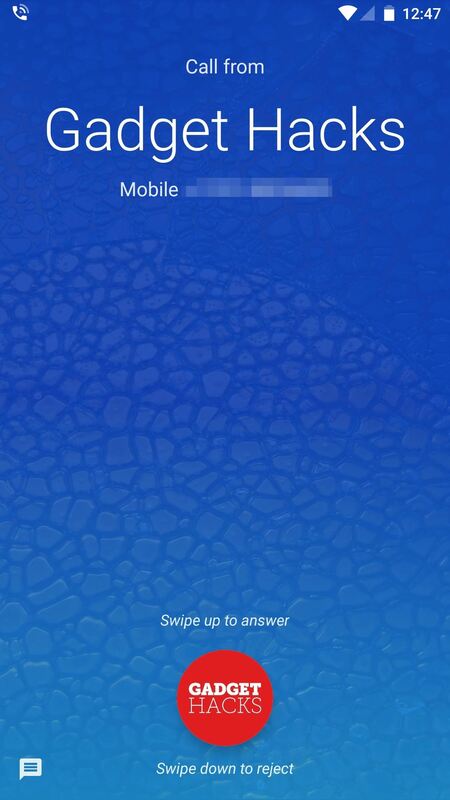 The entire incoming call screen has been revamped, so when someone's calling you, you'll see your home screen wallpaper overlaid with blue. 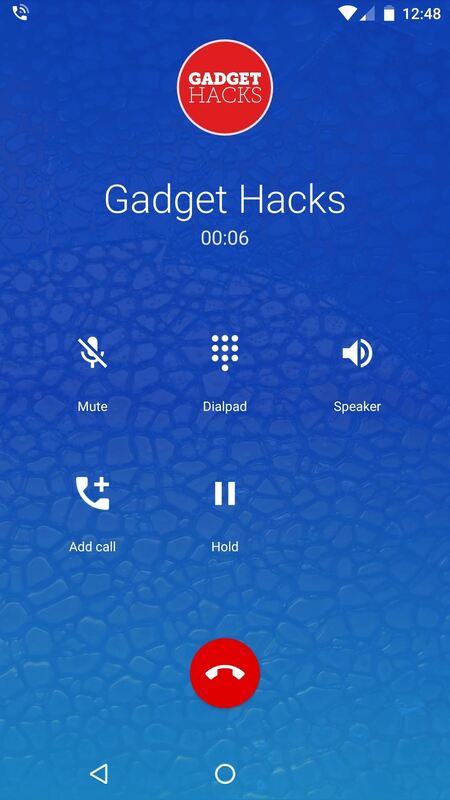 The caller's contact photo serves as the answer/reject button, so you can swipe down to hang up, or swipe up to pick up the call. From there, the in-call UI has been revamped, too, so you'll see your wallpaper and the blue gradient while you're in a conversation. So far, it's already looking like Google will be adding a lot of nice touches to the version of Android that ships with its Pixel devices. As we get a chance to dig into the leaked system dump a bit further, we'll post any other cool apps worth checking out, so stay tuned right here for more. 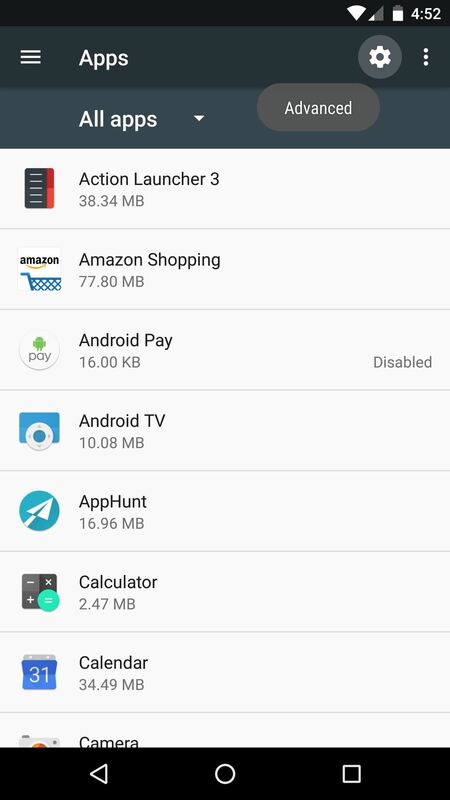 Doesn't install on my Honor 5x. I wish there were a way around this, but thanks for letting us know. I'm still trying to figure out which devices works with the Google Phone app, so far it's looking like it might be Nexus-only. I was really hoping it would work on Moto devices, they're basically stock Android after all. Sorry it didn't work for you, but thanks for the feedback. Thanks Nate and Yannick! It looks like the Pixel Dialer works on any device running CyanogenMod 13, so that's a huge plus. I installed it on my Nexus 6p, but the phone got really hot, and started rebooting on its own. So I disabled the phone app, and reinstalled to the stock version (ver 4.1). Tried installing the apk again, I wiped cache and app data, then went and did a cache partition wipe. Upon restart, the new app (ver 5.1) stopped crashing, but the phone kept getting really hot nonetheless. So I reverted back again to the stock app (ver 4.1). Anyone else facing overheating issues, and know how to fix them? I have the Verizon Note 5 920V. I have been able to install and update with apk files to version 4.1.135571529-nonnexus. I feel that if someone had a more current nonnexus version it would install. If Verizon would push out the Nougat update, I could try a more current version. Starting with version 6 they are Nougat specific. APKMirror has the version I have. It isn't the latest, but I still prefer the Google dialer to stock Samsung.